New York, NY (September 8, 2010) – Twentieth Century Fox Home Entertainment and THIRTEEN’s “American Masters” series today announced that they have acquired A Letter to Elia, Martin Scorsese’s new documentary exploring the life and talent of Oscar®-winning director Elia Kazan. The film, co-directed by Scorsese and Kent Jones, made its world premiere at the Venice International Film Festival and its North American premiere at the Telluride Film Festival. It is also an official selection of the New York Film Festival where it will screen alongside Kazan’s America, America on September 27th. Martin Scorsese cites the works of Elia Kazan as being highly influential on his life and career. A Letter to Elia, produced by Scorsese and Emma Tillinger Koskoff, was co-financed and executive produced by Stone Douglass and Taylor Materne’s Far Hills Pictures. WME Global assembled financing and brokered the distribution deal to PBS and Fox. A Letter to Elia will air nationally on PBS as part of the “American Masters” series on October 4, 2010, accompanied by a companion short documentary featuring some of the country’s most noteworthy actors and directors talking about Kazan’s influence on their work and on the American film industry. On November 9th, Twentieth Century Fox Home Entertainment will release the Elia Kazan Film Collection, an 18-disc DVD gift set including A Letter to Elia and 15 of Kazan’s most acclaimed and noteworthy films. The full collection, in addition to the documentary, includes: A Tree Grows in Brooklyn (1945), Boomerang! (1947), Gentleman’s Agreement (1947), Pinky (1949), Panic in the Streets (1950), A Streetcar Named Desire (1951), Viva Zapata! (1952), Man on a Tightrope (1953), On the Waterfront (1954), East of Eden (1955), Baby Doll (1956), A Face in the Crowd (1957), Wild River (1960), Splendor in the Grass (1961), and America, America (1963). Of the collection, 5 films have never before been released on DVD: A Tree Grows in Brooklyn, Viva Zapata!, Man on a Tightrope, Wild River, and America, America. 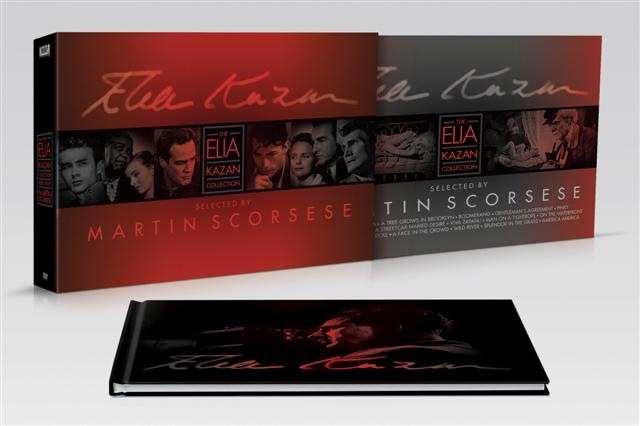 The Elia Kazan Film Collection will be available for $199.98 U.S. / $349.98 Canada. To support the Elia Kazan Film Collection and the “American Masters” airdate, the documentary, as well as some of Kazan’s films, will tour the country, playing at a variety of art house theaters, cinematheques and film societies, including The Guild Cinema in Albuquerque, NM; The Plaza Theatre in Atlanta, GA, hosted by Emory University; The Brattle Theater in Cambridge, MA; The Burton Theater in Detroit, MI; The Phoenix Art Museum in Phoenix, AZ; The Northwest Film Center in Portland, OR; and the AFI Silver Theatre and Conference Center in Silver Spring, MD; among others. More information on the film, the complete list of screening engagements, as well as the opportunity to pre-order the Elia Kazan Film Collection, can be found at www.lettertoelia.com.